Plan costumes that are reflective and brightly colored. Be certain that shoes fit well and that costumes are short. Long costumes can cause tripping, entanglement or contact with flame. When shopping for costumes, only consider materials that are flame-resistant. Instead of a mask that can limit eyesight, consider a decorative hat or non-toxic face make-up. Never use decorative contact lenses as part of a costume. These lenses can be dangerous and can cause infection. Children should be taught to never trick-or-treat alone. Go in a group or with a parent. Never allow young children to carve their own pumpkins. Instead, ask your child to draw the face on the pumpkin that the parents can carve. Or decorate your pumpkin using colorful paints, glue, and accessories. Instead of putting a candle in your pumpkin, consider lighting your pumpkin with a glow stick or flashlight. If you prefer a candle, use a votive candle. Candle-lit pumpkins should be placed on a sturdy surface away from curtains and other flammable materials. Don't leave a candle-lit pumpkin unattended. When getting ready for visitors at your house, remove anything that a visitor could trip over in the dark. Make sure garden hoses, decorations, toys, and bikes are not in walkways or on porches. Make sure bulbs in outside lights are working, and change any burnt out bulbs. Restrain your pets so they are not tempted to follow visitors out of your yard. Restraining pets also provides safety for your visitors. Sweep any wet leaves away from walkways, steps, and porches to prevent slipping and falling. Though tampering is rare, inspect treats that come home from trick-or-treating or from holiday gatherings. Make sure nothing is spoiled, unwrapped, or looks suspicious in any way. 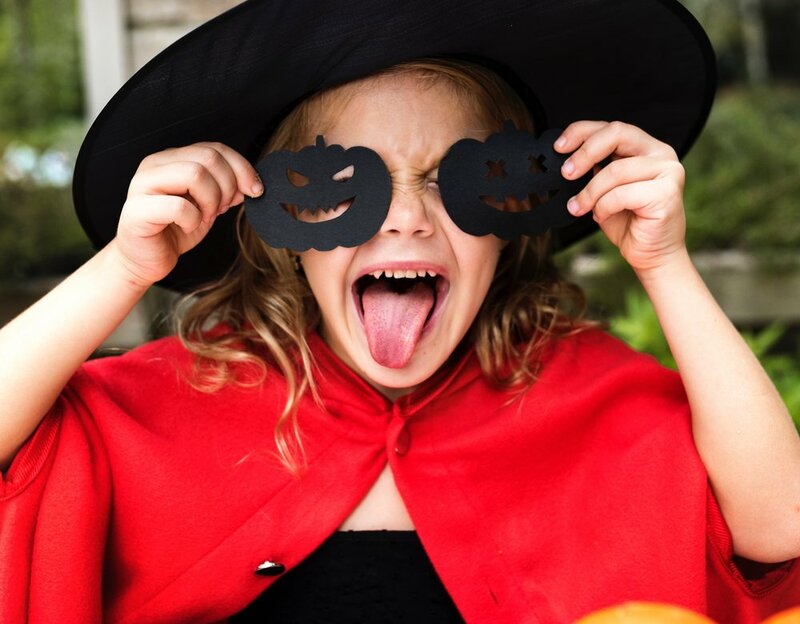 Don't let children have unlimited access to festive candy and treats. Teach them to eat sweets in moderation only, and save some candy for another day. Keep candy, especially chocolate out of the reach of pets. Any type of candy is not good for pets, and chocolate can be lethal.